Pvt. J. Elmo Young, son of Mr. and Mrs. J. A. Young, attended Frederick High School; husband of Lydia Young. 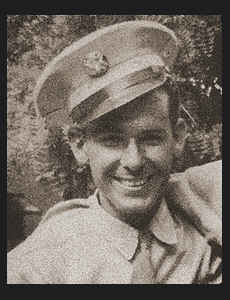 Entered Army in 1942, trained in Camp Bowie, Texas, and Louisiana; served in Germany and France; was discharged. Awarded ETO Ribbon, Victory Ribbon, Am. Defense Ribbon.